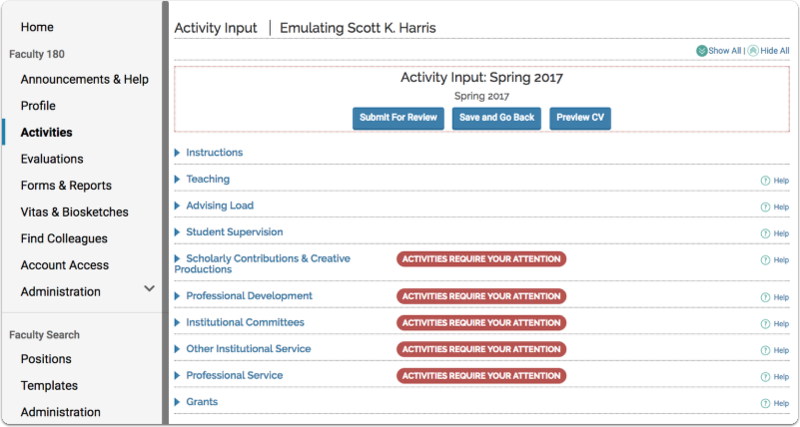 Planned during July 2018, we are releasing a visual update around the faculty activity input process in Interfolio Faculty180. Later this month, we will be updating the visual design of two pages in Interfolio Faculty180 to reduce confusion between them among faculty users. This update reflects a lot of thoughtful feedback from institutions using Faculty180 about how the platform can better address the perspective of faculty users. Why is Interfolio making this change? We have heard from several clients that the visual similarity between these two pages sometimes leads faculty to mistakenly enter data into the wrong place. 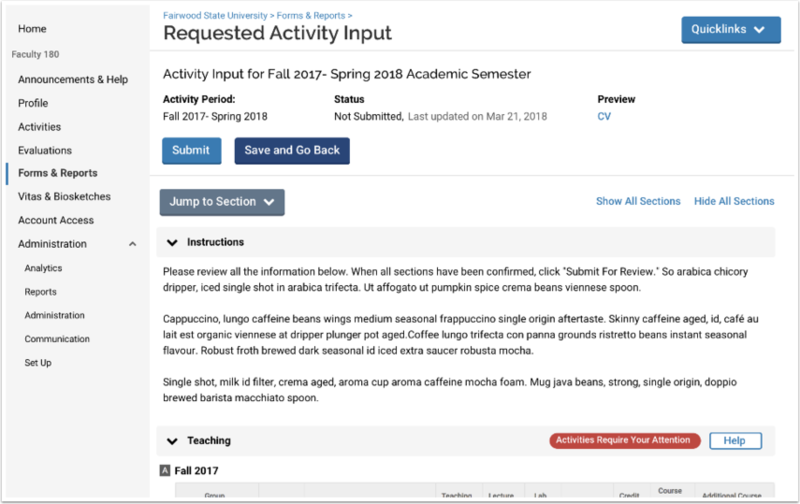 We want to make sure that, if faculty accidentally click on the "Activities" section rather than the link to the initiated activity input form, we guide them to the right place. We believe that this visual design update will prevent confusion among users, reducing the need for technical support. If you have any questions about this update, please contact Interfolio Scholar Services at help@interfolio.com or (877) 997-8807, or contact your institution’s Project Manager directly.